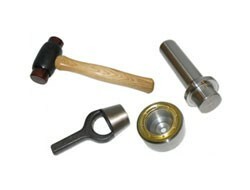 Eyelets need to be fitted using the correct tools and equipment. 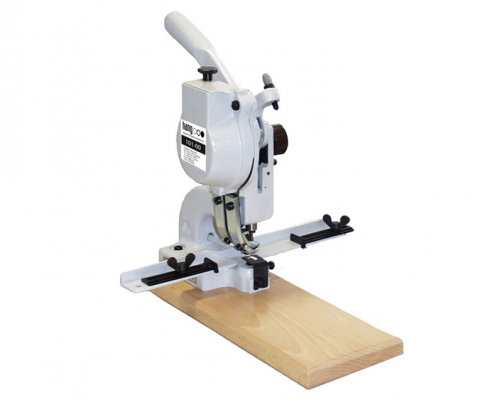 Please browse our range of manual and powered eyeletting equipment below, we have assembled a wide range of products to suit most applications. Our sales team will be able to advise on the most appropriate solution for your particular requirement, call us on 01706 656 789, click on the chat button on the right or use the contact us form. 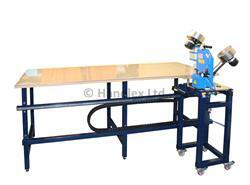 Each piece of equipment has its own page where you can view video demonstrations and further details. 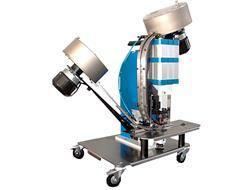 Electric or Pneumatic - Which is best? 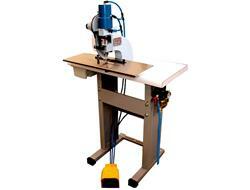 Both have plus points over the other, electric machines tend to be faster, quieter and don’t need an air supply. 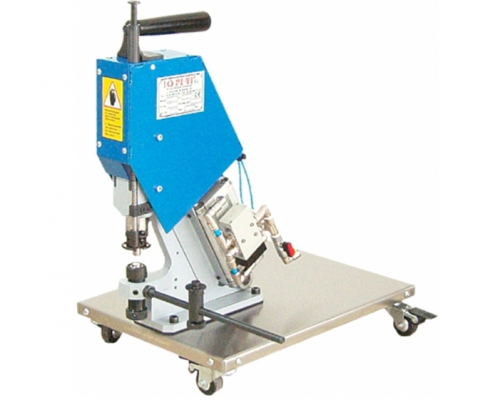 However pneumatic machines tend to be less expensive and more compact. 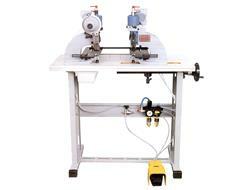 I don’t know which machine would be best for my application? 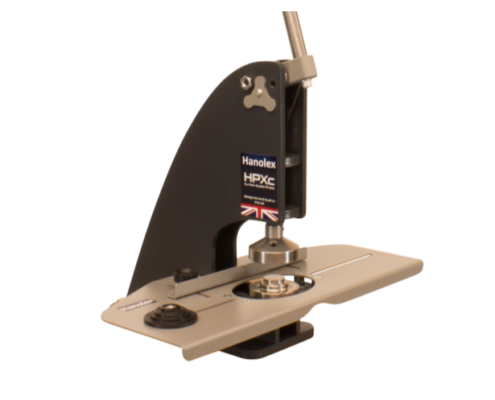 The right machine depends on many factors if you are unsure then it would be best to discuss your requirements with our sales team and they will be able to advise on the best options. What’s the differences between semi and fully automatic? 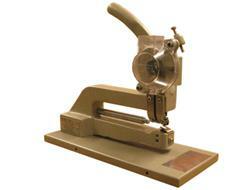 Semi automatic machines only feed the eyelet. 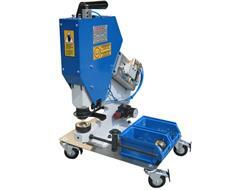 Whilst fully automatics feed both the eyelet and a backing washer. 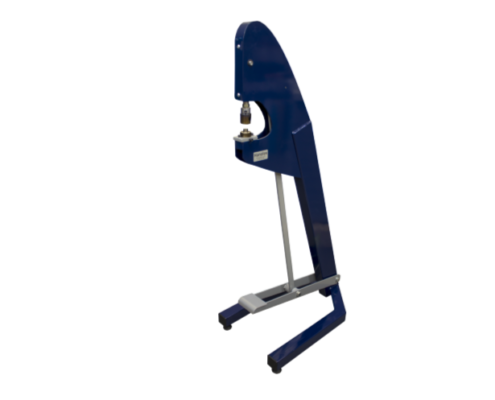 Most applications require a washer as well as an eyelet but for those where only an eyelet is required then a semi-auto machine is suitable. 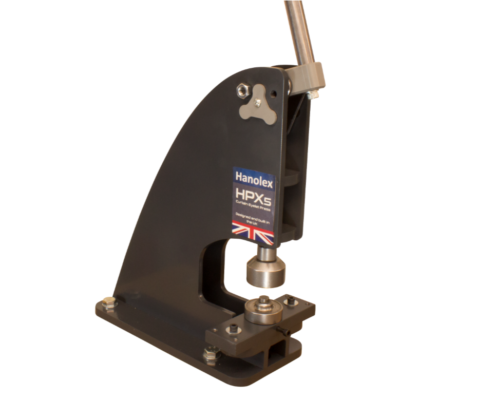 For large eyelets & grommets up to 66mm hole diameter This heavy duty, hand lever operated press is ideal for setting large eyelets and grommets. 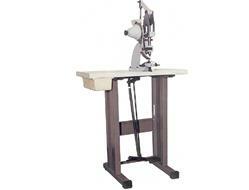 For small stationery eyelets Tabletop hand operated eyeleting machines feature automatic feeding of eyelets. 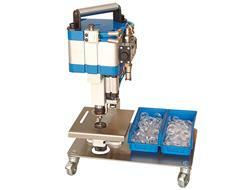 The machine simultaneously punches and inserts eyelets in one operation. 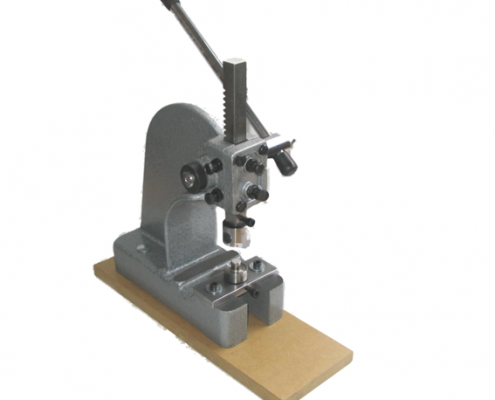 For small stationery eyelets These tabletop hand operated eyeleting machines feature automatic feeding of eyelets. 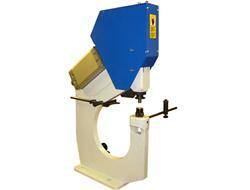 The machine simultaneously punches and inserts eyelets in one operation. 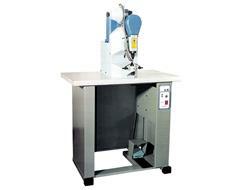 Sets eyelets up to 6.5mm hole diameter Manual, pedal operated machine punches a hole and inserts the eyelet in one operation. 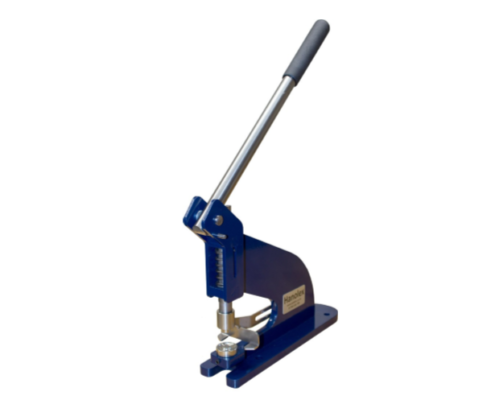 For eyelets & grommets up to 40mm hole diameter Mobile or bench mountable versions, pneumatic operation takes the effort out of high production runs. 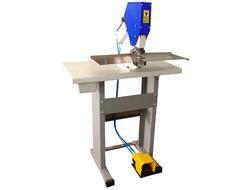 For eyelets up to 8mm hole diameter. 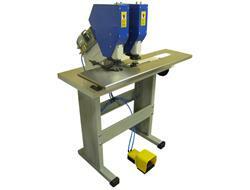 This machine punches a hole and inserts the eyelet in one single operation. 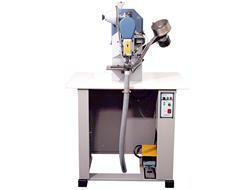 If a washer is required then this is placed by hand. 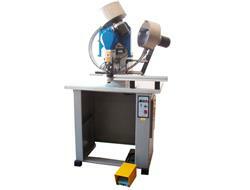 For eyelets up to 8mm hole diameter. 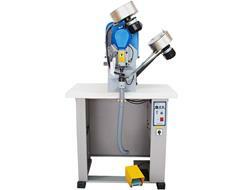 Electric machine, feeds both an eyelet and washer, cuts the material and sets the eyelet in a single operation.